What you get: Amazon has posted a pre-order page for a Collector’s Edition Terminator 2: Judgement Day bundle. The limited run package includes a 4K Ultra HD Blu-ray if the film, a life-size replica of a T-800 “EndoArm," and more. If the special edition sounds familiar, it’s because this is the second time it has been put up for pre-orders. The first run got canceled due to reported “problems with production/manufacturing” leaving fans high and dry. Some customers were devastated by the renege. “I wanted to cry as I would do at the end of T2,” said Arnaud Biry after being notified of the October 2017 cancellation. Now Biry and others will be getting a second chance to purchase the limited supply item. Amazon is taking pre-orders for the Terminator 2: Judgment Day Endoarm 4K Ultra HD O-ring Collector's Edition. 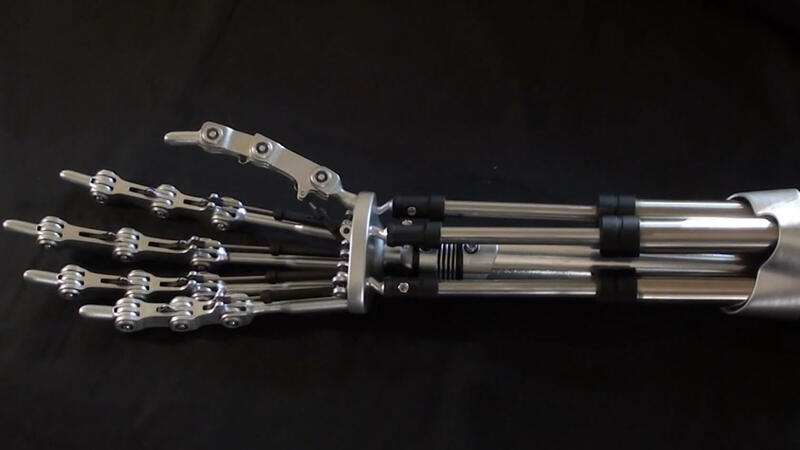 The highlight of the bundle is a life-size replica arm from a T-800 endoskeleton. The EndoArm comes in a numbered acrylic display case autographed by Director James Cameron. The bundle will retail for $175, which seems like a lot, but only 6,000 will be shipped. I would not be surprised to see buyers selling the replica alone on eBay for more than $175 shortly after release. "6,000 life-sized EndoArm units available in the U.S.A. - once these are gone, they are gone forever!!" A release date has not been listed, but the item is covered under Amazon's Pre-Order Price Guarantee. In other words, you are not charged until the item ships. This policy also pledges to give you any discounts offered before launch even if you ordered before the price cut went out.